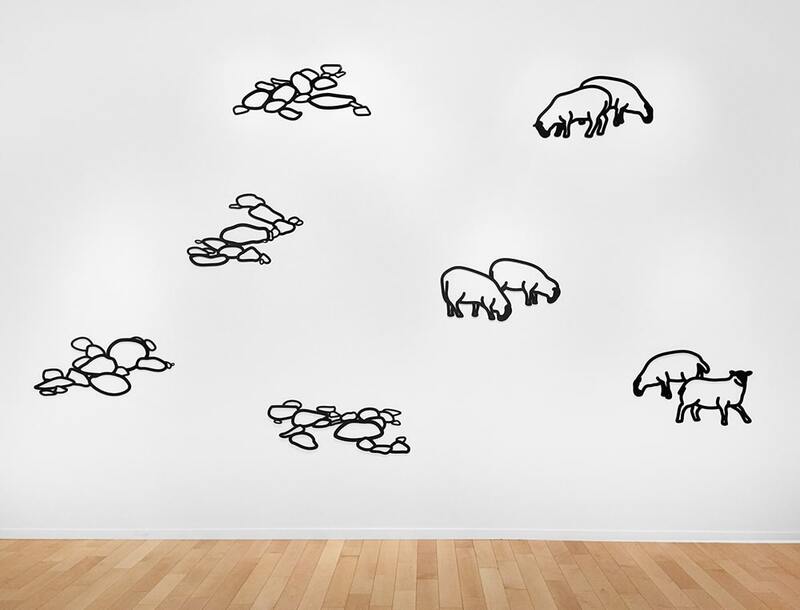 Jonathan Novak Contemporary Art is delighted to present Nature 1, a major new body of editioned work by the British artist Julian Opie. 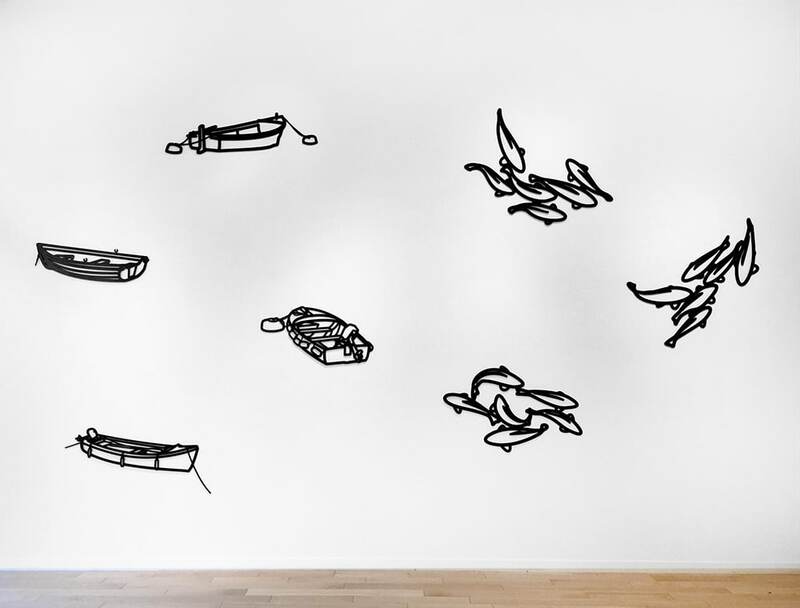 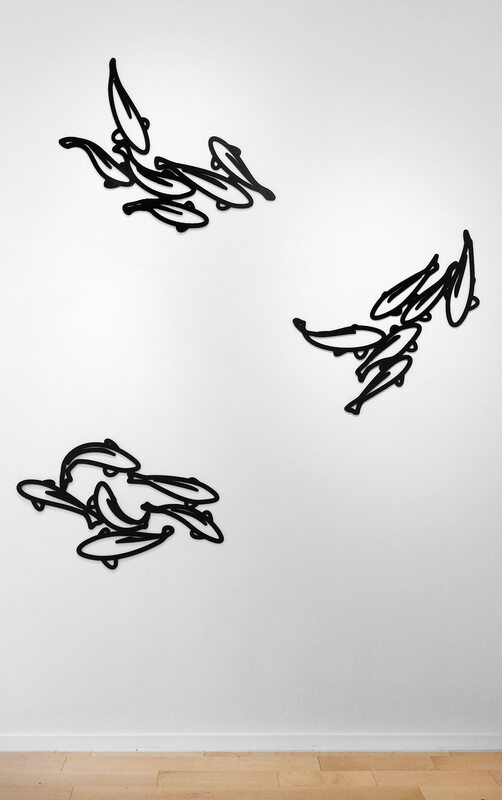 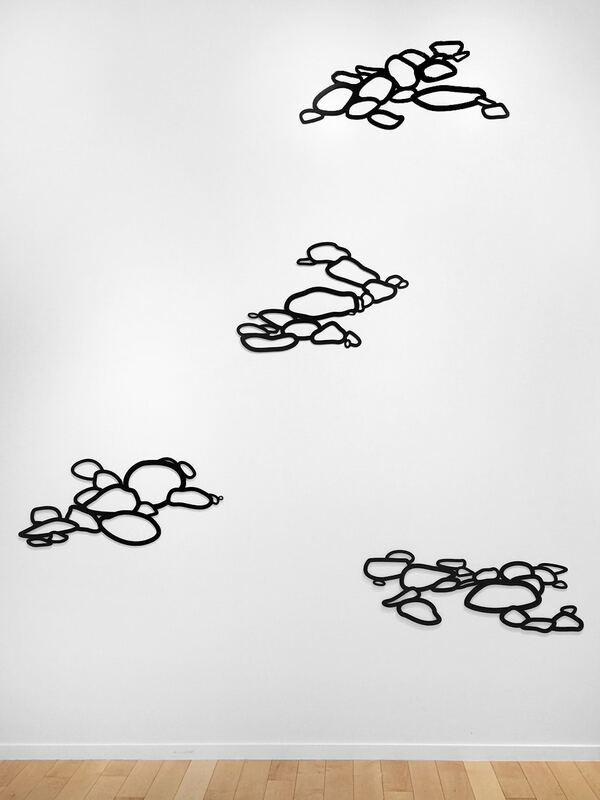 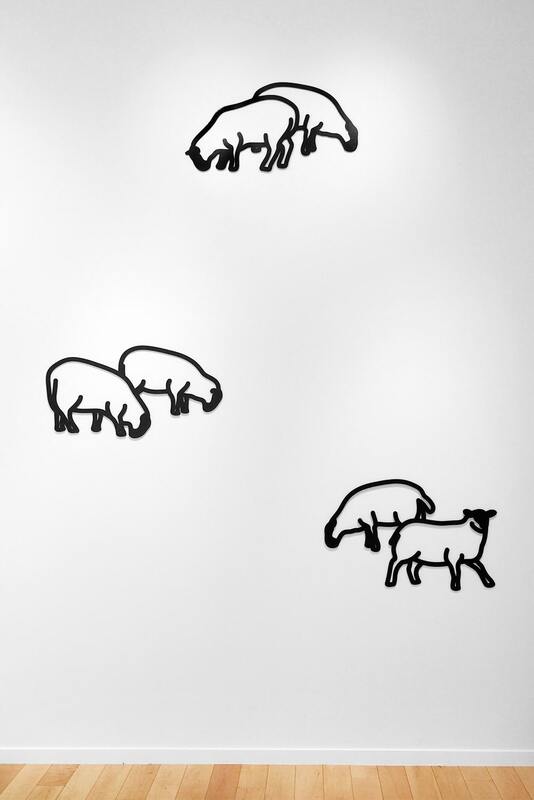 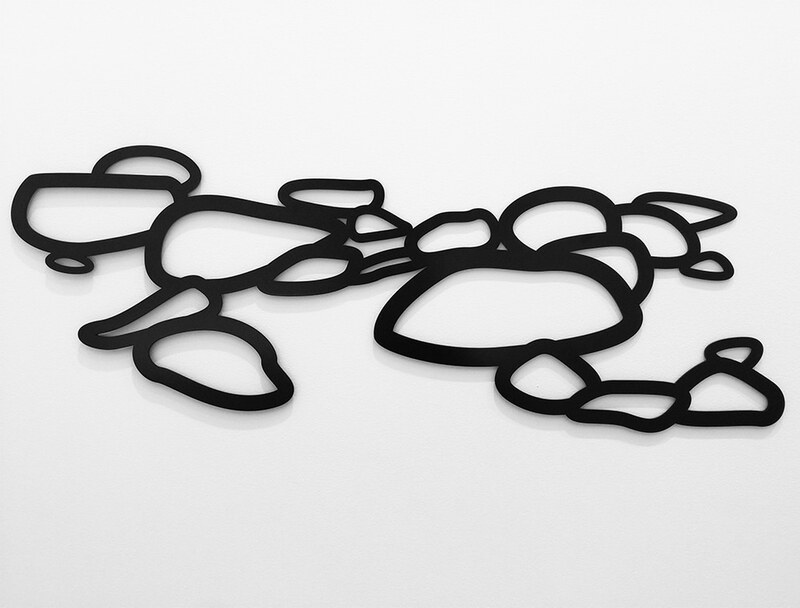 Consisting of 14 laser-cut powder-coated aluminum wall reliefs of boats, pebbles, sheep, and fish, these new works were inspired by Julian Opie’s observations in both London and Cornwall, places in the UK where the artist has homes. 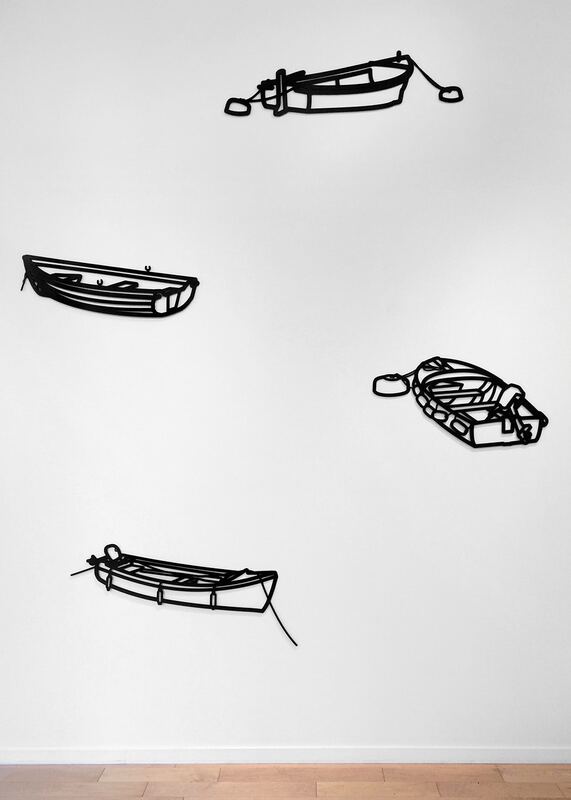 Having grown up with art of the post-war St. Ives School, Opie developed a keen awareness of British artists such as Henry Moore, Barbara Hepworth and Ben Nicholson. 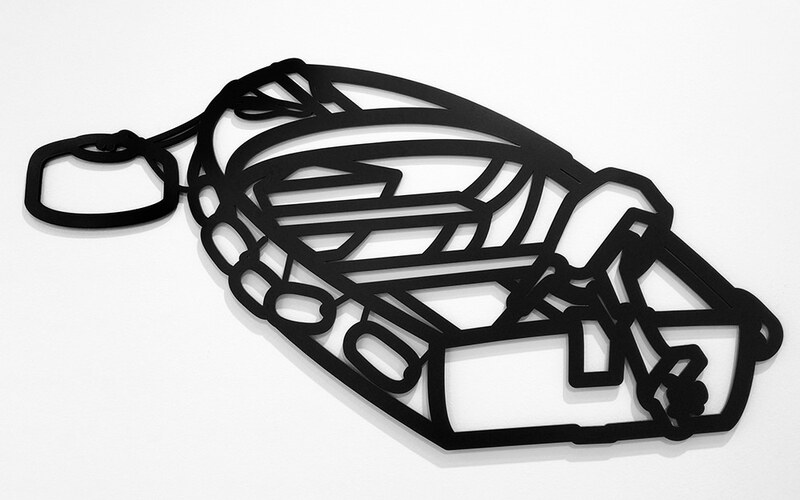 In making these new steel works, however, he has chosen to contrast some of the traditional subjects of British Landscape art with a medium and material which alludes to a more contemporary urban, post-industrial world. 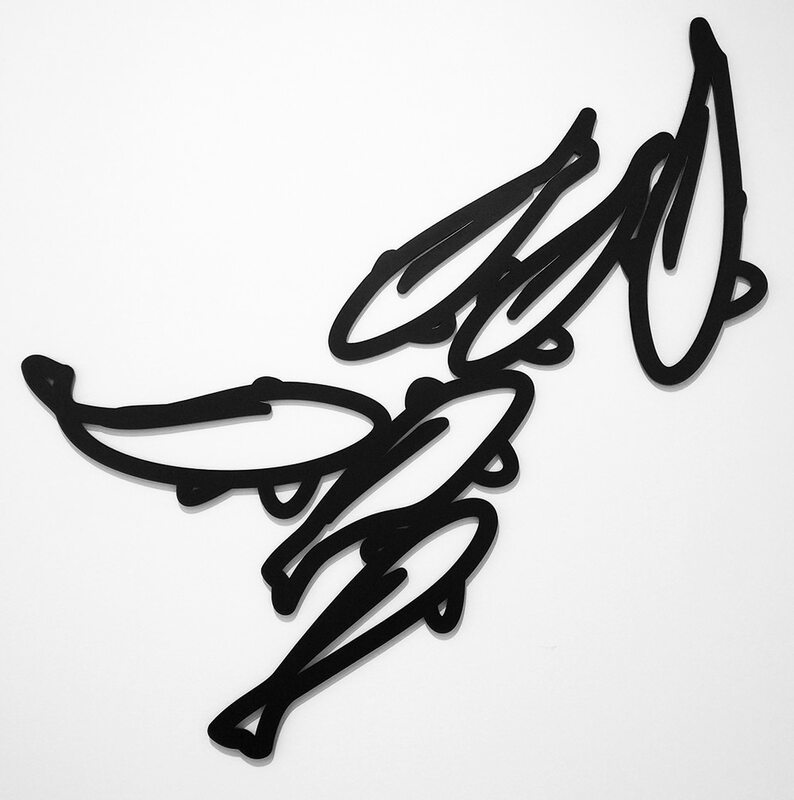 Born in 1958 in London and a graduate of Goldsmith’s School of Art, Opie reinterprets the vocabulary of everyday life through his typical reductive style and his innovative use of new and traditional techniques. 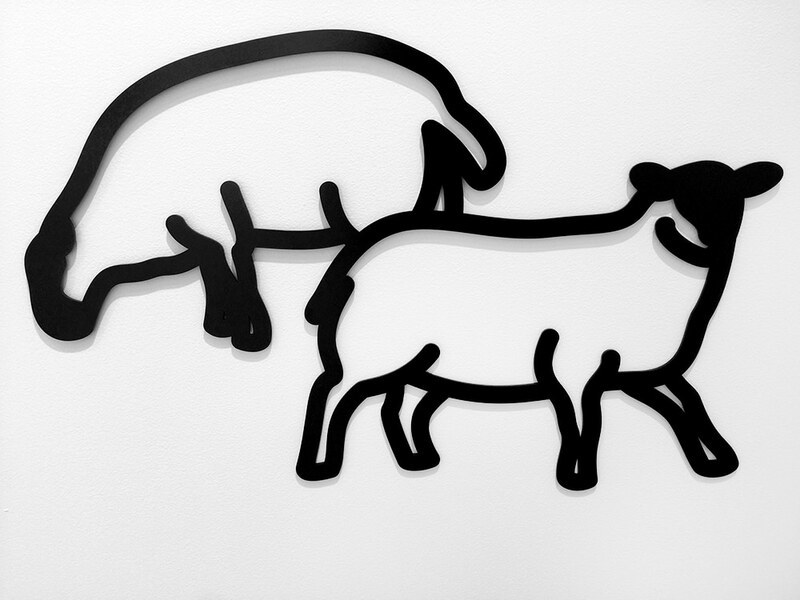 His works are held in numerous international museum collections including MoMA, New York, MFA, Boston, Stedelijk Museum, Amsterdam and Tate, U.K.